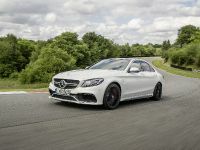 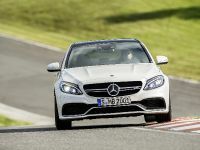 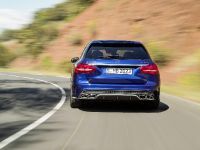 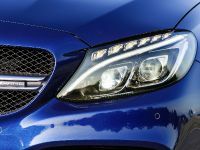 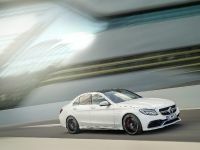 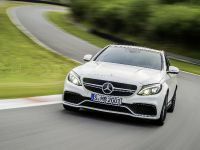 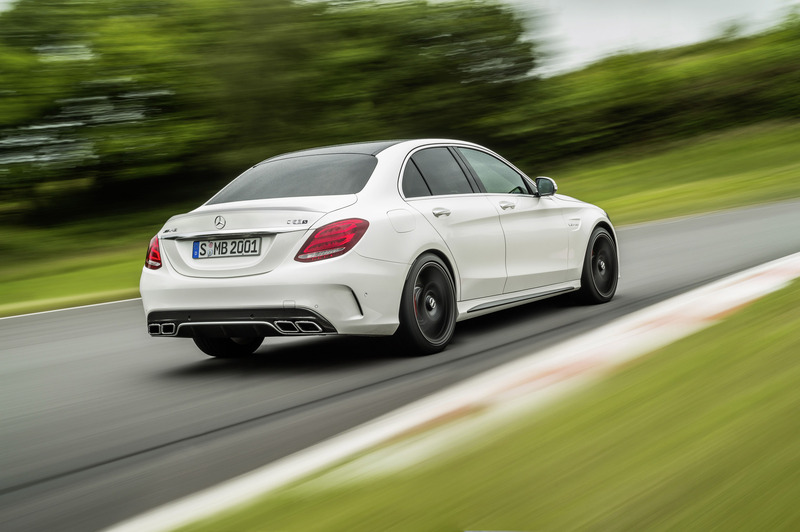 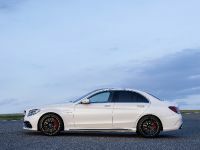 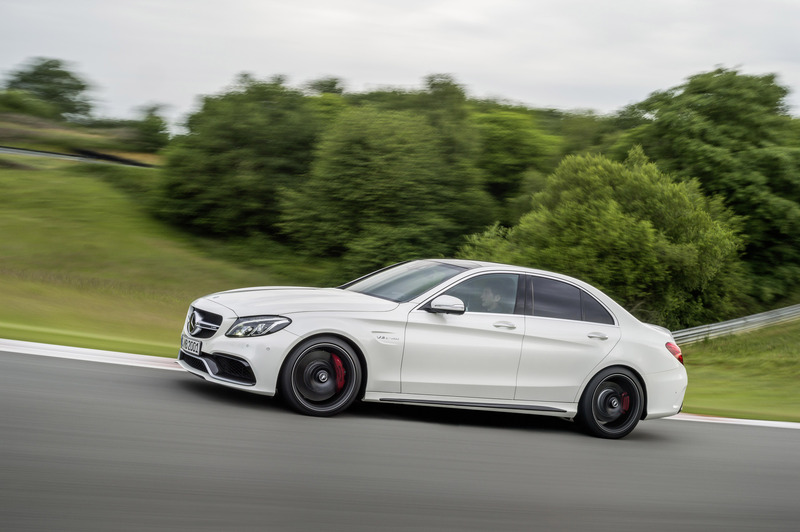 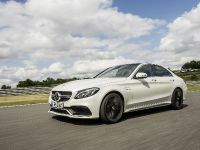 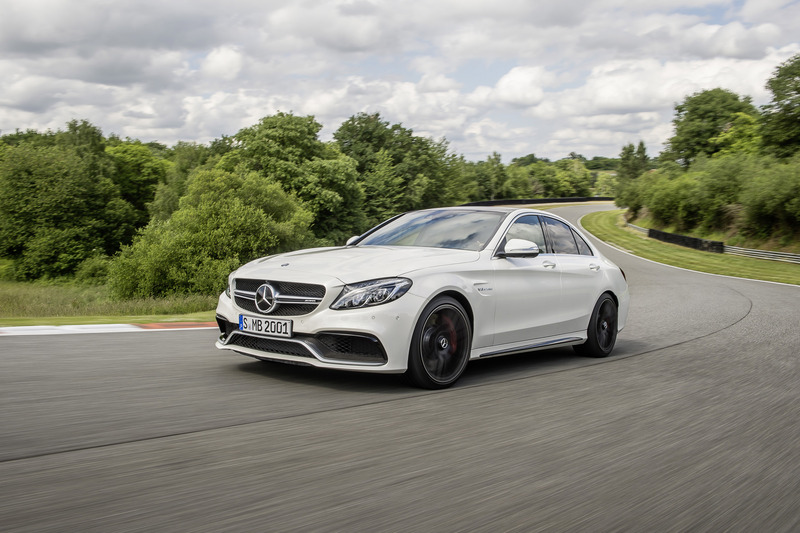 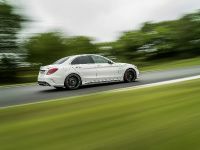 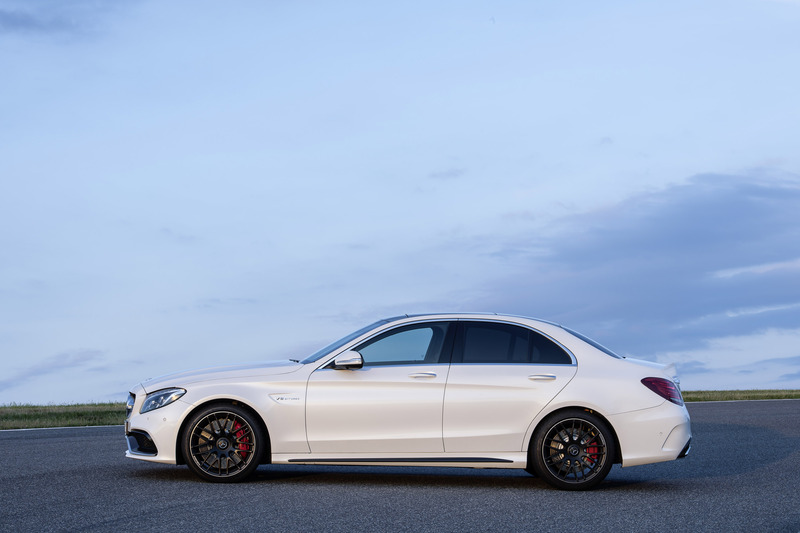 The all new C63 has a 4.0-litre biturbo engine, allowing excellent performance, with 3 stage adjustable dampers and custom steering set-up, the car remains agile, making it one of the most popular AMG models. 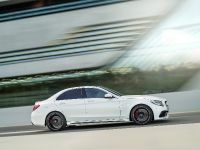 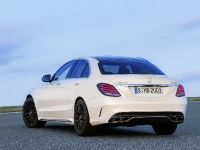 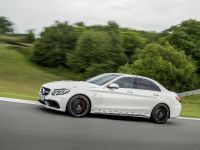 The unique technology installed in the Mercedes-AMG C 63 makes the car high-performance and as exciting as it can get but viable for everyday use as well. 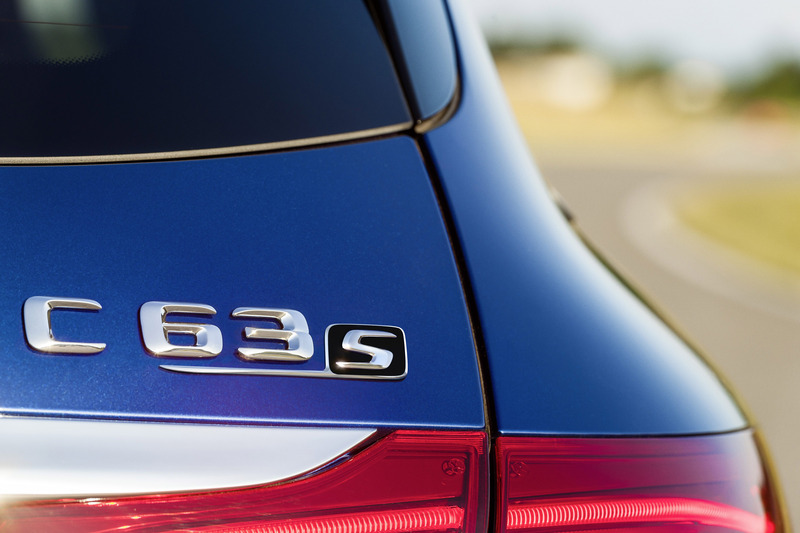 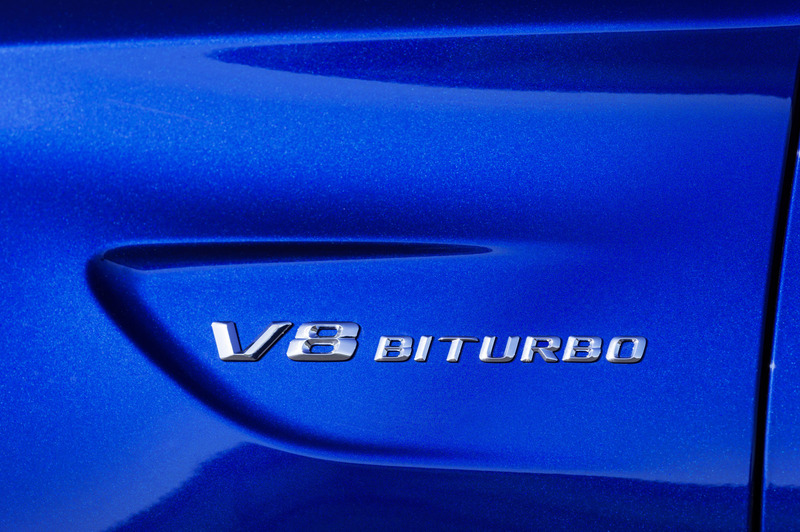 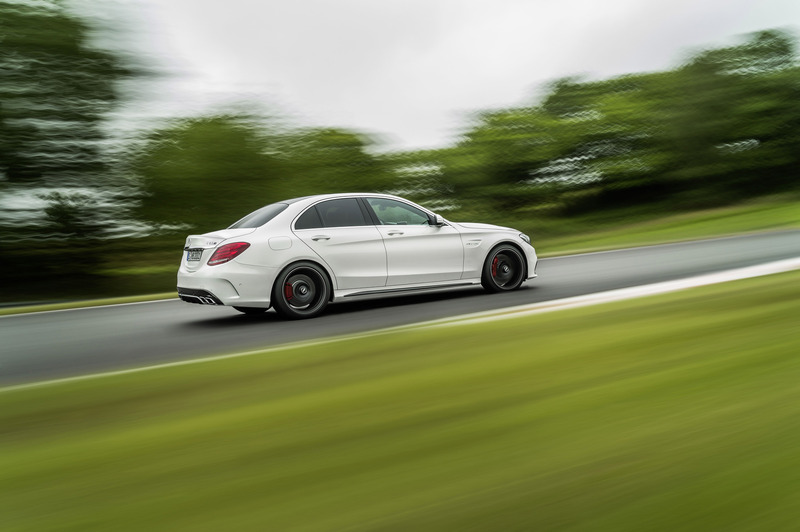 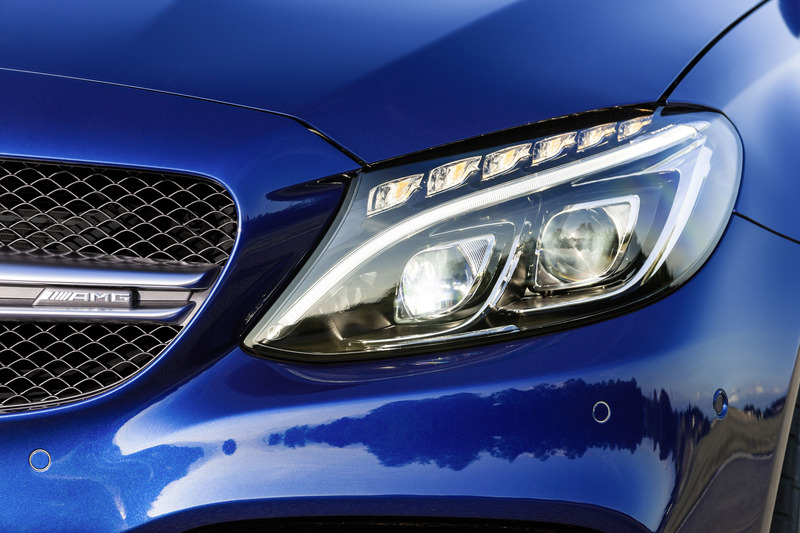 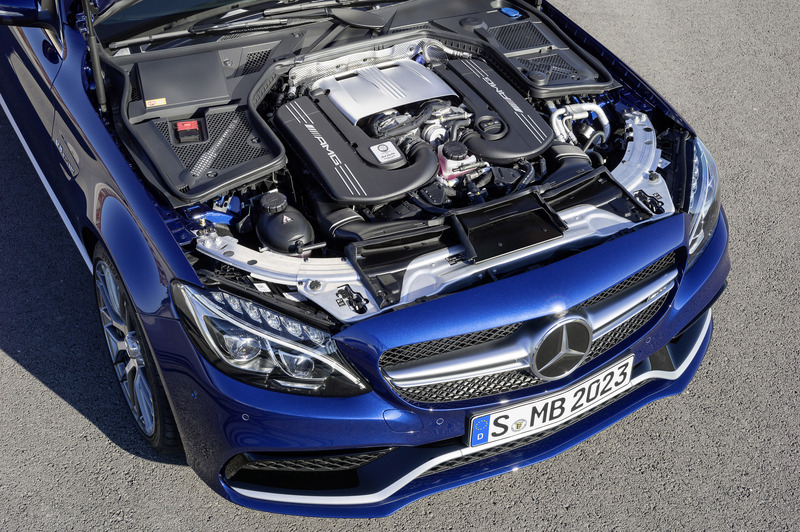 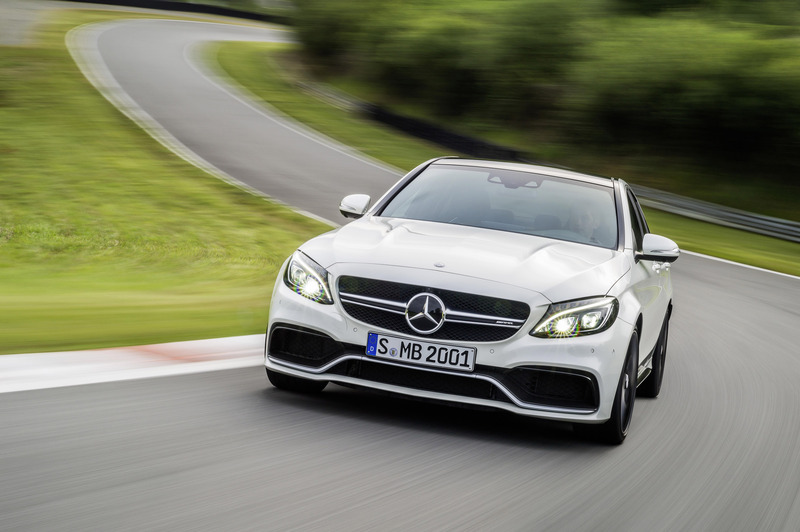 The C63 engines reduce vibration from themselves and the gearbox when you are driving in normal conditions. 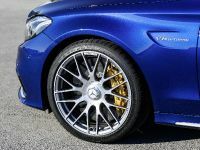 Of course, on the other side, if you want to go faster, they intensify so they can provide and improve performance and handling. 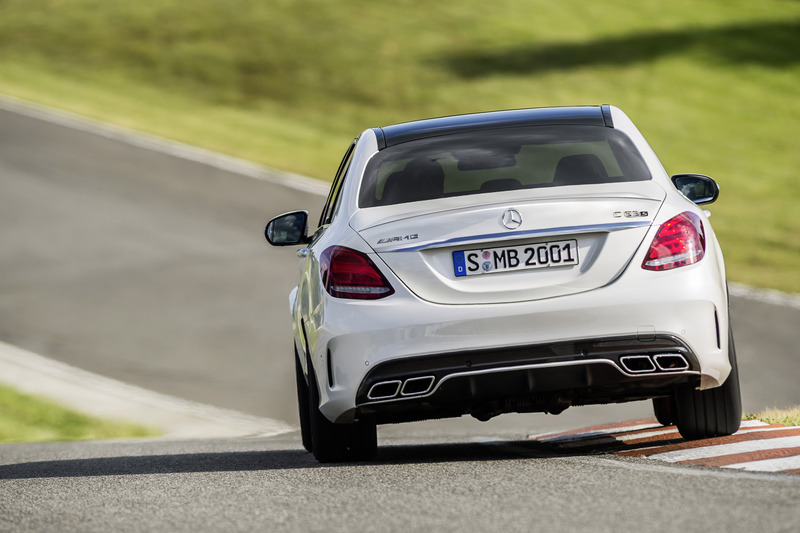 The C 63 is equipped with a genuine suspension set-up. 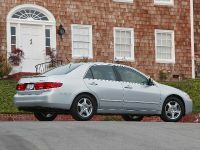 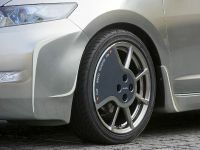 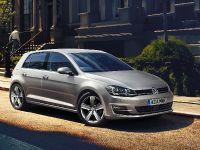 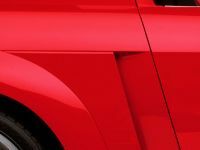 With independent steering, 4-link suspension and improved stability, while the rear system uses increased negative camber. 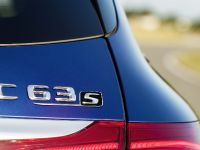 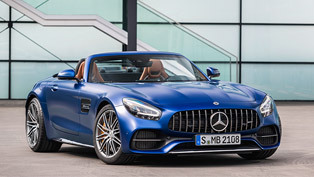 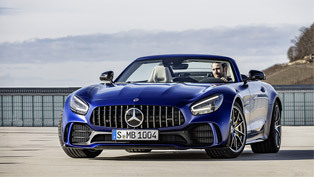 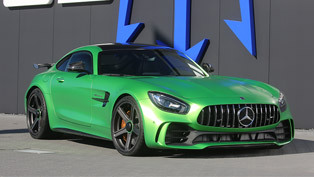 AMG RIDE CONTROL system is connected to both of these, through three stage dampers, which are electronically controlled, provide comfort and track settings. 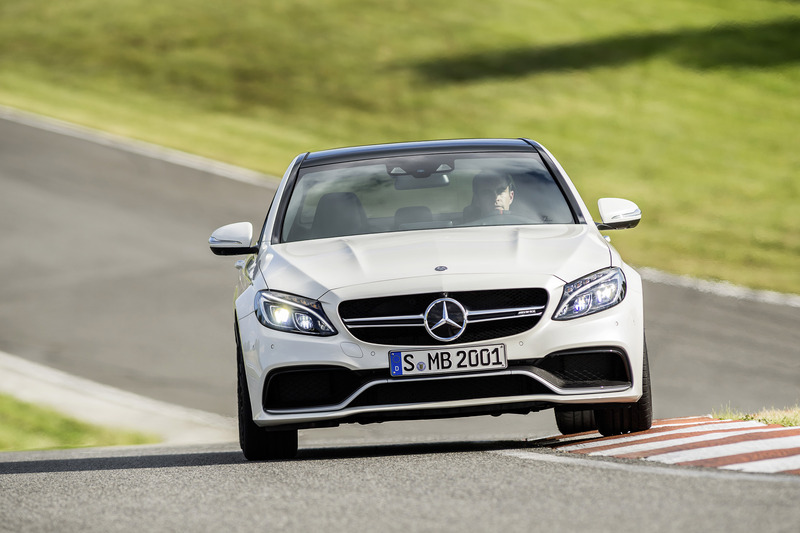 The S model comes with 245/35 R19 (front) and 265/35 R19 (rear) tyres while the C 63 gains 245/40 R18 (front) and 265/40 R18 (rear) tyres. 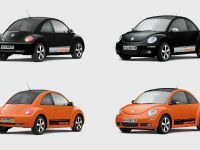 Outstanding changes to appearance, both on the inside and the outside. 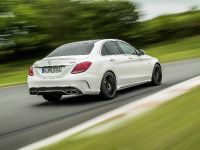 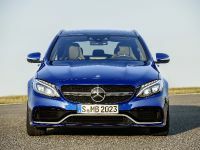 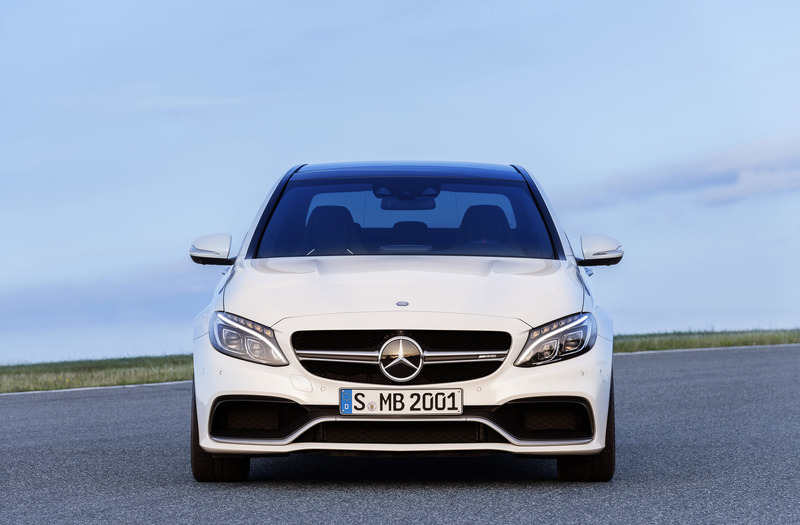 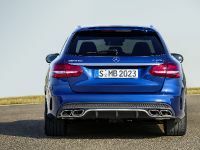 An unique AMG grille, front wings featuring a quiet V8 biturbo engine, front bumpers and rear bumpers, designed to handle the new quad exhaust pipes, give the vehicle all that exciting, shiny new look.A new version of the "AMG SPEEDSHIFT MCT" 7-speed transmission is installed on the C 63 - now with quicker shift times.As a Saloon, the C 63 AMG weighs from 1,715 kg while the Estate weighs from 1,785 kg. 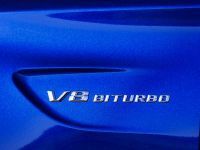 New visible changes are noticed inside. 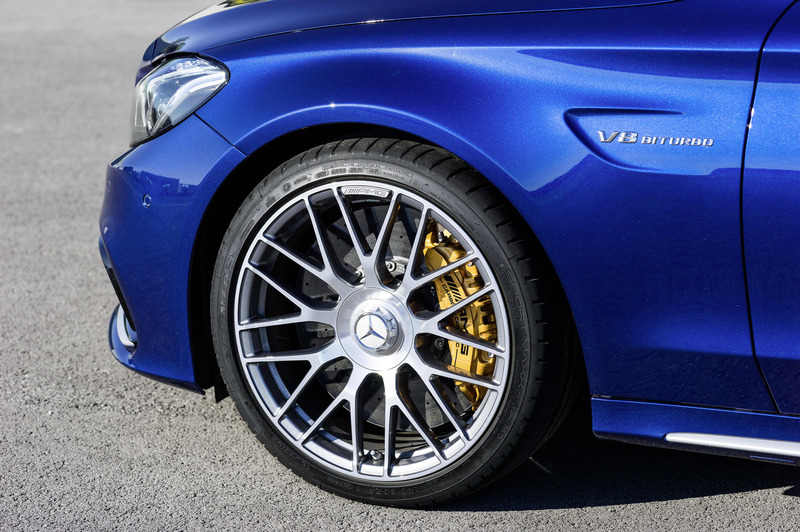 A small original AMG wheel with AMG dials. 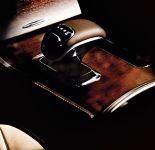 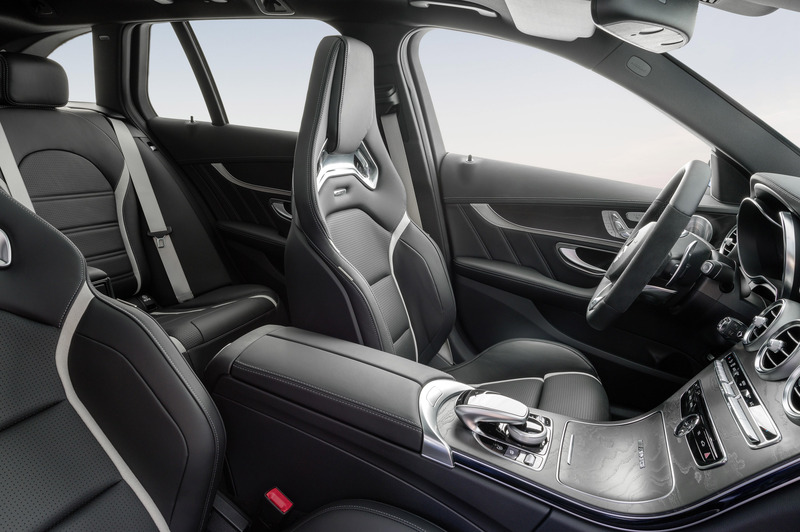 You can get your AMG with sports seats option along with different leather settings. 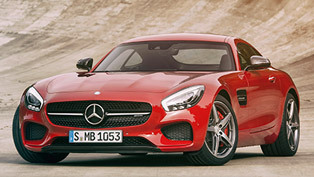 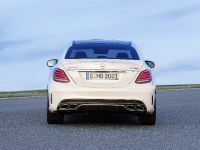 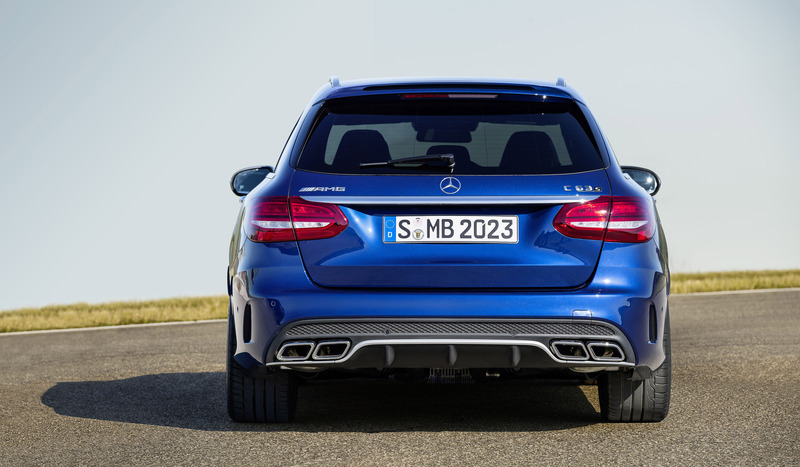 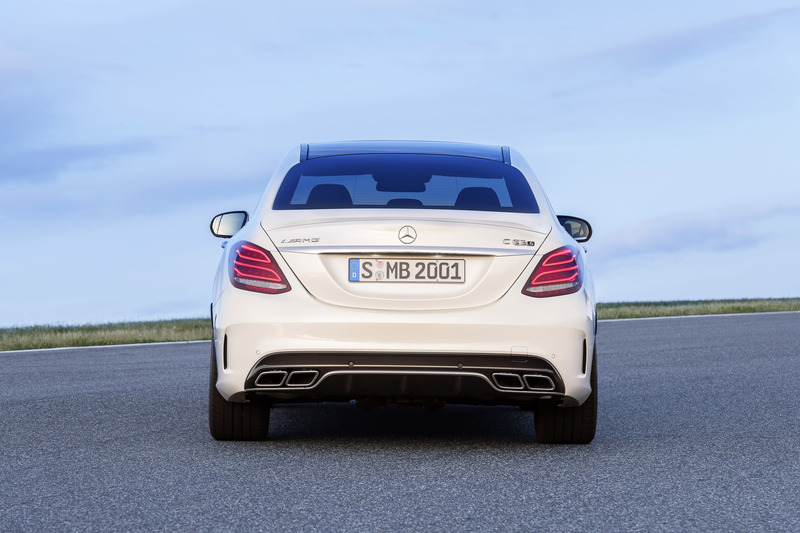 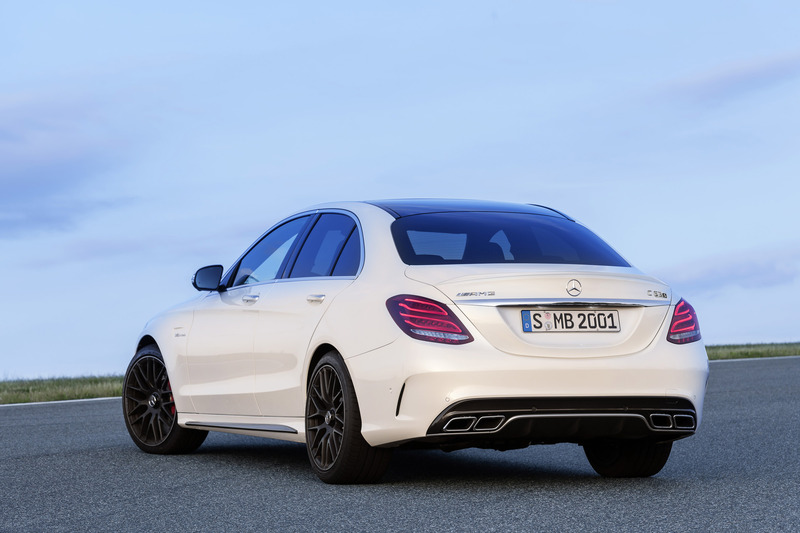 A optional active AMG performance exhaust system and the "AMG ride control buttons". 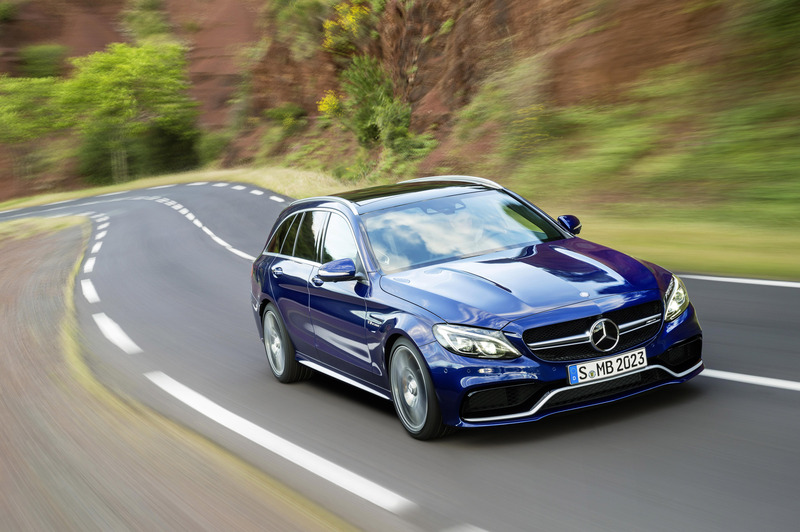 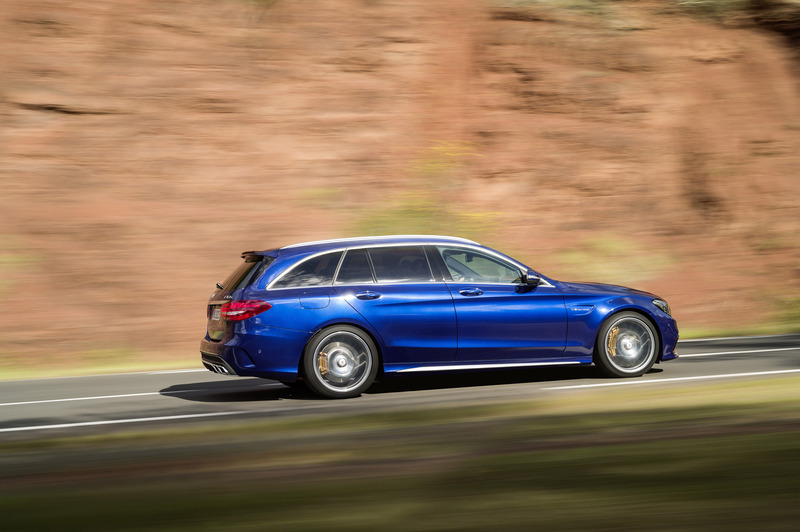 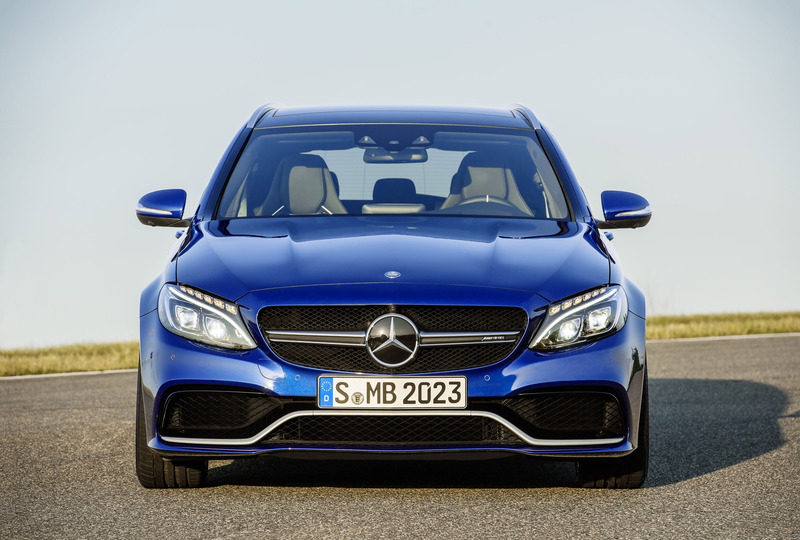 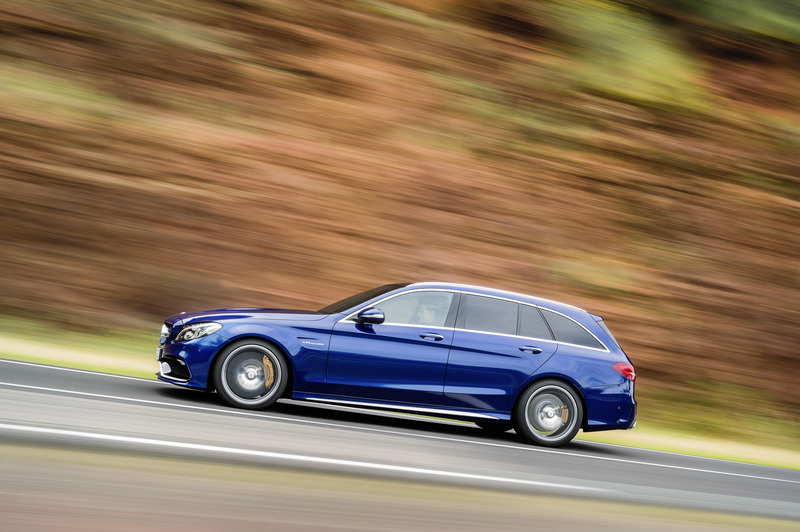 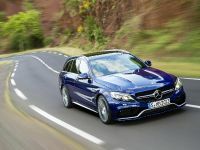 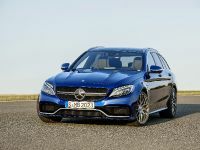 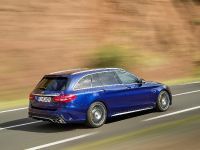 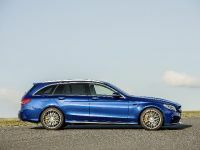 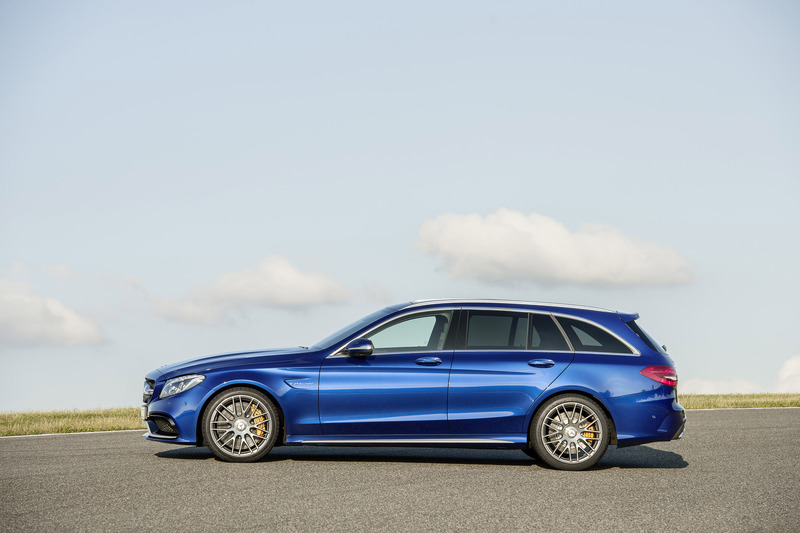 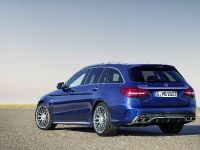 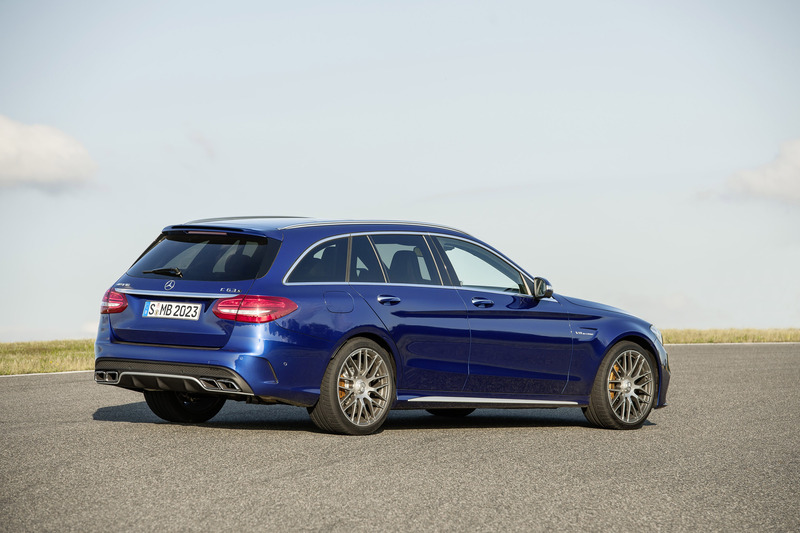 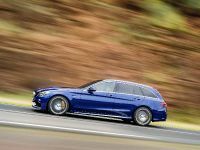 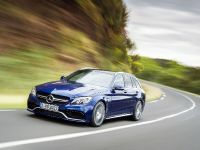 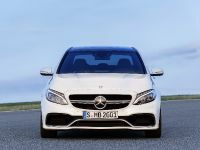 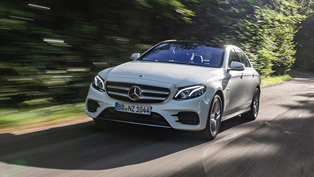 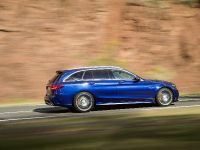 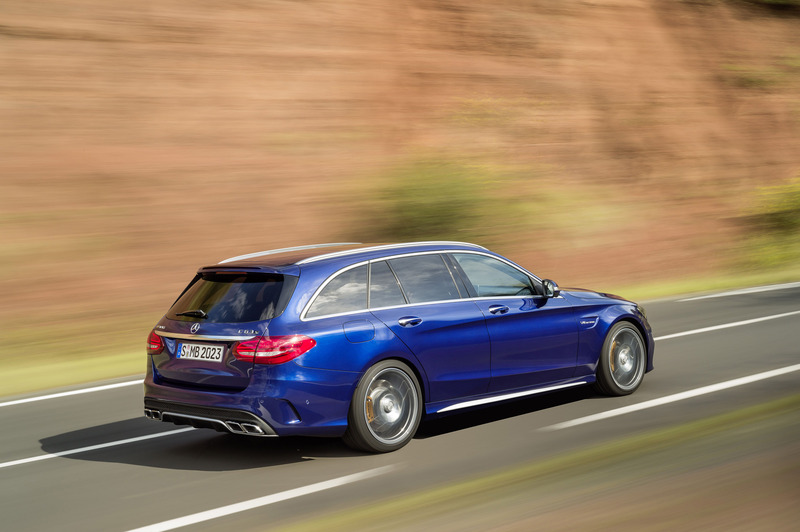 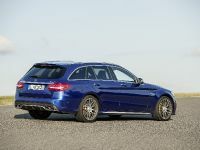 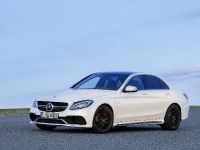 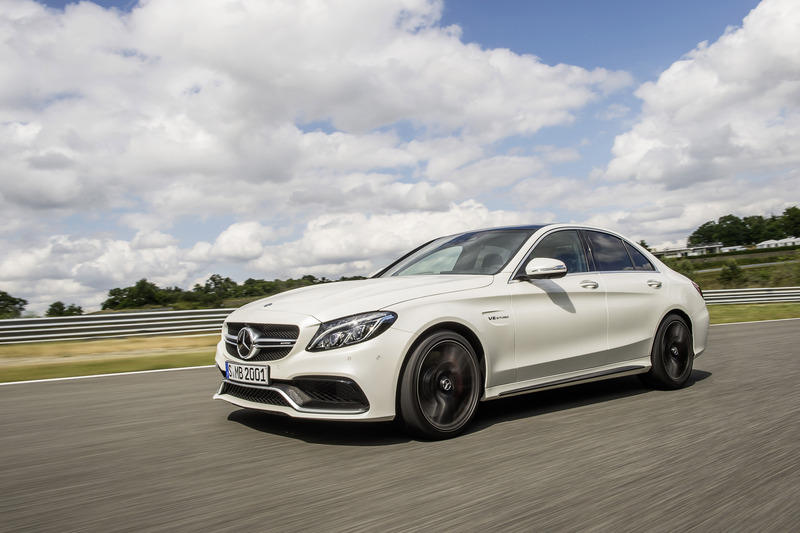 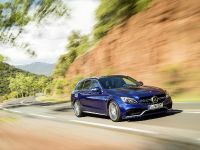 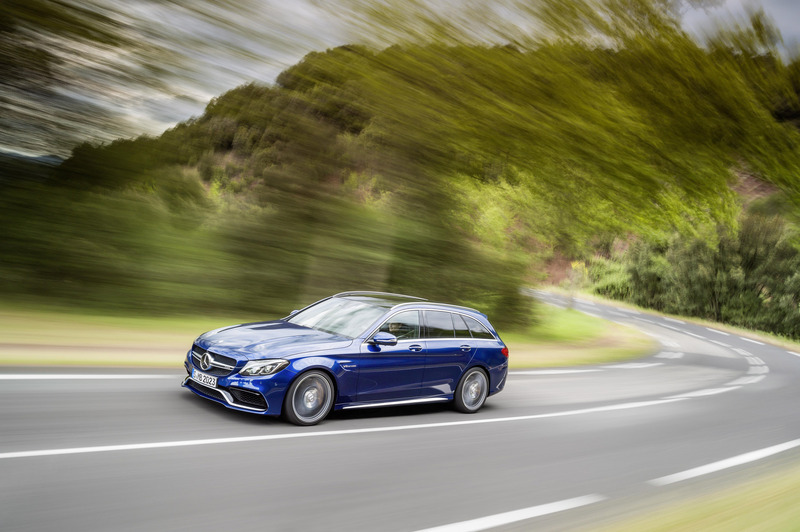 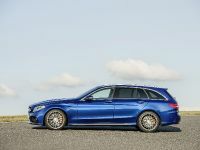 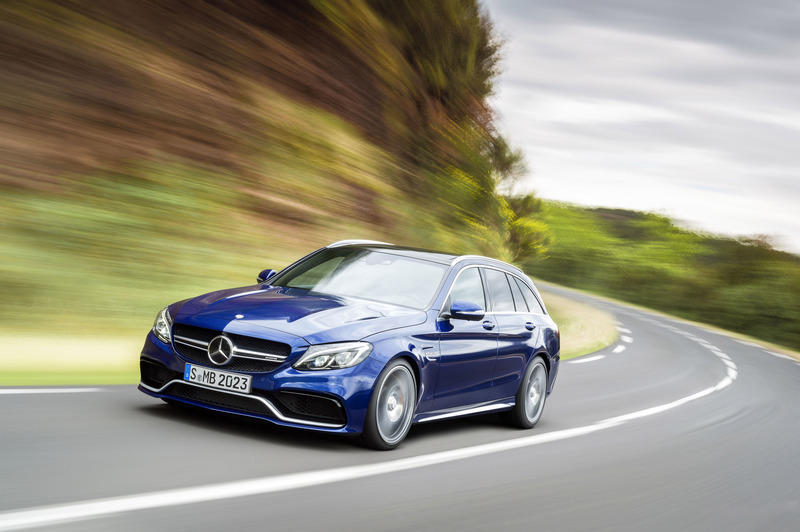 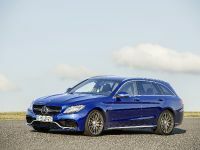 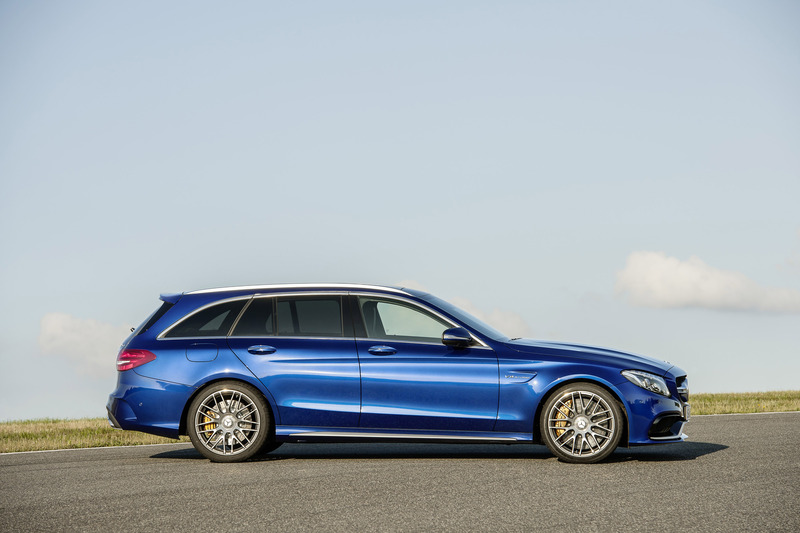 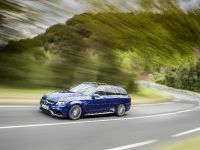 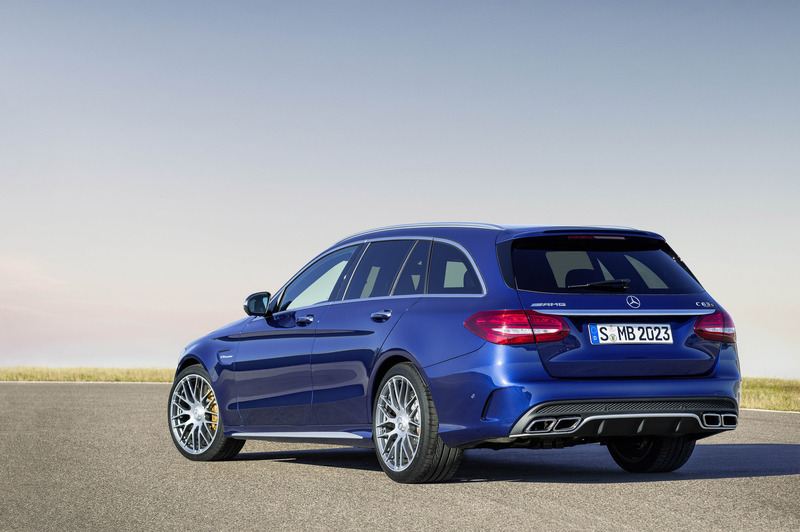 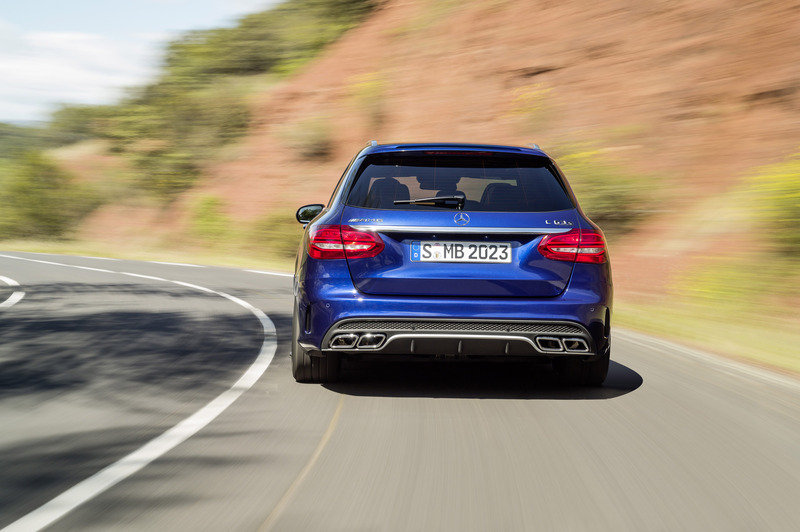 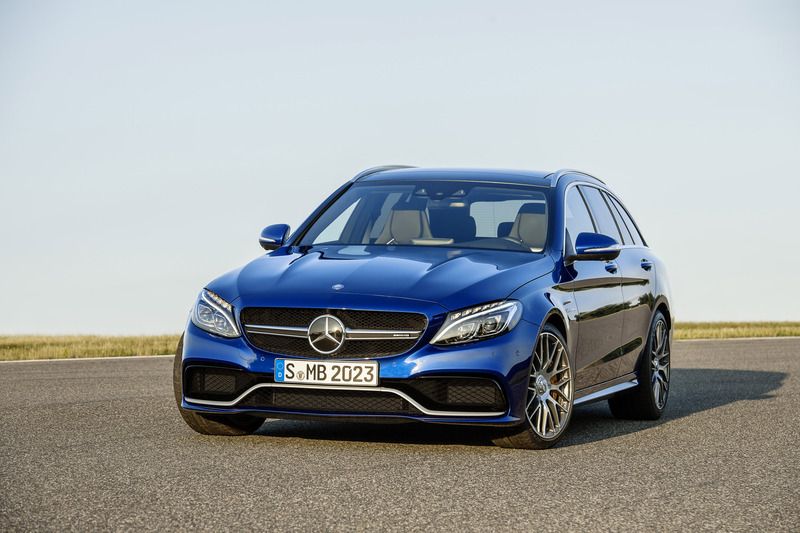 Mercedes-AMG C 63 Saloon and Estate will be available for sale next month in the UK. 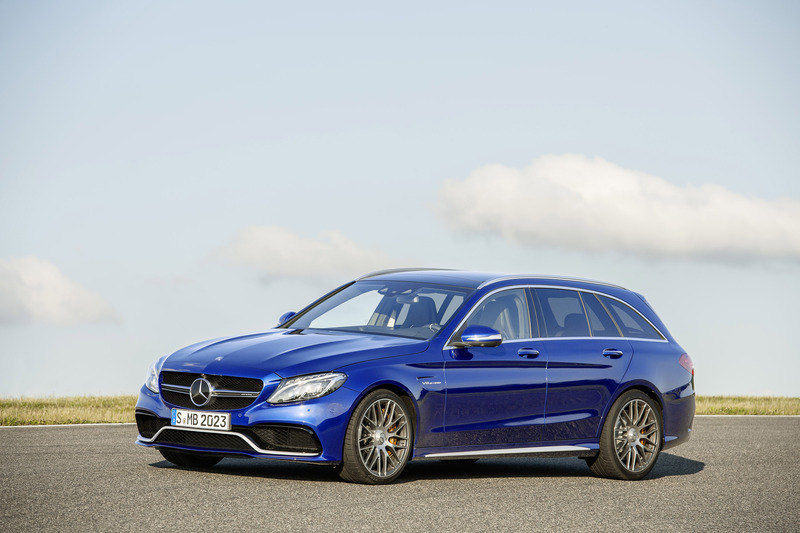 First delivers will be in Spring 2015. 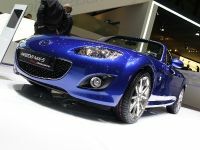 Pricing and specifications will be unveiled when the ordering opens.